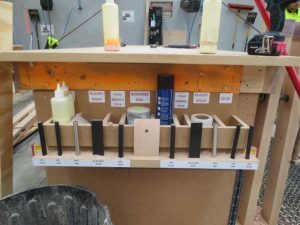 Example of a Workstation that has been given the Practical 5S treatment. View our 5S videos to learn more. Over the years, we have helped hundreds of companies implement Practical 5S, our proven approach to 5S deployment. These five 5s videos provide you with practical tips on how to successfully and sustainably deploy Practical 5S in your business. 5S is probably the most well known Lean technique and is one of the essential foundations of a successful production system. 5S is easy to start, but many companies struggle to sustain it. This 5s video explains how the TXM Practical 5S(r) approach delivers sustainable results by placing accountability with your front line teams. 5S Set in Order is the second “S” in popular workplace organisaiton method, 5S. 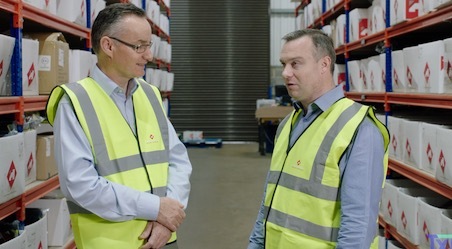 In the second of our 5s videos, Anthony Clyne explains what “Set in Order” means and gives you practical hints on how to “Set in Order” your workplace using the TXM Practical 5S approach. A key question that companies ask us is “how do you sustain 5S”. 5S Training is not the answer. A more practical approach is needed. In this 5s video, Anthony Clyne explains why every 5S audit should look for improvements. In one of my favourite 5S videos, Michelle Brown explains how when you implement 5S often it is the details that can trip you up. Michelle explains how to 5S every inch of your business using a 5S Map. Featuring the excellent carpentry workstations at Slattery and Acquroff Stairs, Michelle Brown explains how creating standard workstations will help your team increase their productivity. Standard workstations will also save you real money in lost tools and partly used materials.